What are the different types of surveys available? This is a full and comprehensive report that details every aspect of your property. The report includes photos, diagrams and clear and concise explanations of definitions and jargon. It also includes suggested costs for repairs to rectify any faults. This is essentially a shortened building survey that concentrates on high level checks. 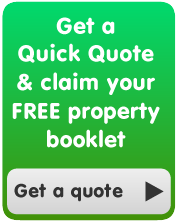 We only recommend that you have a Home Buyers report on new or nearly new property. Infact, being a new house doesn’t necessarily guarantee that there won’t be any problems. This is the commercial equivalent of the residential building survey, but obviously on a grander scale. This survey is designed to examine the whole property from roof to foundations. This survey is carried out before you move your business to the property - the idea being it’s a snap shot of the building condition before you undertook the lease. Are you leasing a property? We can carry out an independent inspection of the property focusing on the buildings dilapidation during this tenancy.